What race is Big Mom? Big Mom is massive, but she is not a Giant, so what is she? Is it possible that her family is same as her? She is a normal human. In Chapter 866, her parents are shown. They do not share her enormous size. What are the bounties of the Yonko as of 2017? When do Sanji's half of the crew board Big Mom's ship for the first time? 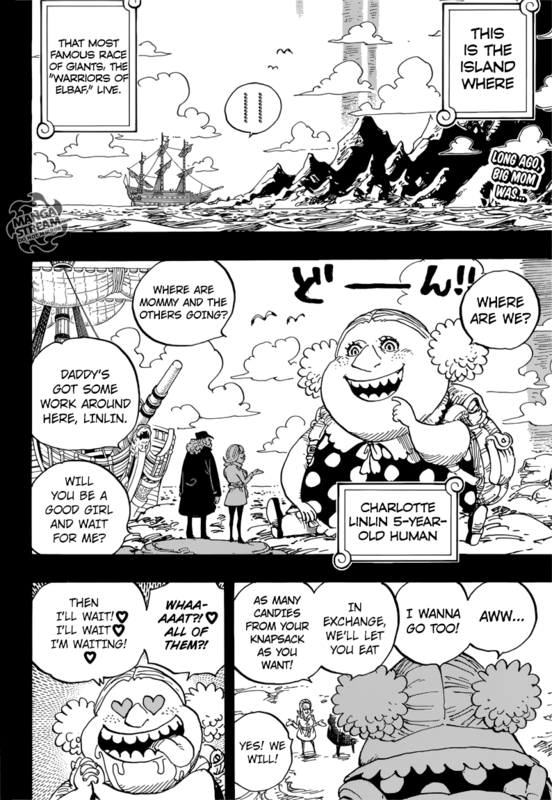 What did Jinbe lose in Charlotte's roulette? Why is Big Mom afraid of Shanks?